VANCOUVER, British Columbia, Canada, May 12, 2017 (ENS) – The Trump administration has undone President Barack Obama’s protection for Bristol Bay, Alaska, which hosts the world largest sockeye salmon run, by allowing a Canadian mining company to apply for a permit to dig up the world’s largest undeveloped gold and copper deposits. Vancouver-based Northern Dynasty Minerals Ltd. announced today that its wholly-owned subsidiary, Alaska-based Pebble Limited Partnership, and the U.S. Environmental Protection Agency have reached a settlement agreement of their longstanding legal dispute over the federal agency’s 2014 regulatory action under the Clean Water Act. EPA Administrator Scott Pruitt has agreed the Pebble Project can proceed into the normal course of permitting under the Clean Water Act and National Environmental Policy Act. Local tribes, fishermen and business owners reiterated their long-term opposition to the Pebble Mine at the headwaters of Bristol Bay “due to its threats to Bristol Bay’s salmon fishery and thousands of American jobs,” said the United Tribes of Bristol Bay in a statement. 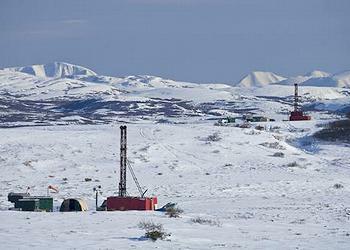 The Pebble Mine continues to face widespread opposition, from over 65 percent of Alaskans. Bristol Bay residents overwhelmingly oppose the Pebble Mine with over 80 percent regional opposition, including Bristol Bay Native Corporation, Bristol Bay Native Association (31 tribes), Bristol Bay Economic Development Corporation (17 tribes), United Tribes of Bristol Bay (14 tribes), and Nunamta Aulukestai (14 Alaska Native Village Corporations). 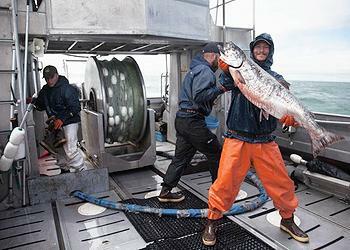 Bristol Bay is the world’s largest producer of wild sockeye salmon and hosts other salmon species as well. 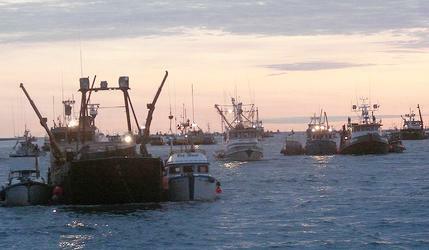 It supports a commercial fishing-based economy valued at over $1.5 billion per year, and supports more than 14,000 full-time and part-time American jobs. Neverthless, EPA has agreed it will not file the Obama-era Recommended Determination under Section 404(c) of the Clean Water Act until a final Environmental Impact Statement for the Pebble Project has been completed by the U.S. Army Corps of Engineers – so long as that occurs within a period of four years following the settlement agreement and Pebble Limited Partnership files permit applications within 30 months of the settlement agreement. EPA has further agreed to initiate a process to propose to withdraw the Proposed Determination it issued under CWA 404(c) in July 2014. In return, the Pebble Partnership has agreed to terminate permanently two lawsuits it brought against EPA – an action under the Federal Advisory Committee Act and an action under the Freedom of Information Act. 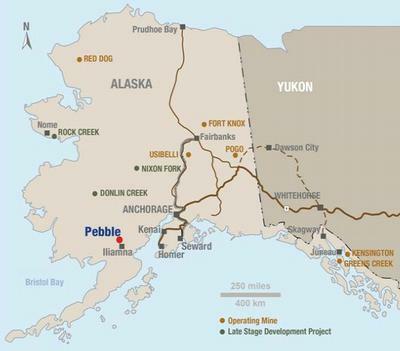 “From the outset of this unfortunate saga, we’ve asked for nothing more than fairness and due process under the law – the right to propose a development plan for Pebble and have it assessed against the robust environmental regulations and rigorous permitting requirements enforced in Alaska and the United States,” said Ron Thiessen, president and CEO. “Today’s settlement gives us precisely that, the same treatment every developer and investor in a stable, first world country should expect,” he said. “The Pebble Partnership will advance a progressive mine plan, including mitigation, to be assessed by objective, expert regulators at the U.S. Army Corps of Engineers and a raft of other federal and state agencies – including EPA,” Thiessen said. “Not only are we no longer facing extraordinary development restrictions at Pebble, we will also be assured a fair and predictable permitting review of our proposed development plan. The Corps-led EIS will be prepared by independent, third party experts to ensure that decisions are based on objective science, and that public and stakeholder participation is comprehensive and meaningful,” said Thiessen. During the EPA’s peer-reviewed scientific assessment and review of the threats posed by the proposed Pebble Mine to Bristol Bay’s world-class fisheries, more than 1.6 million Americans and 99 percent of all individuals who submitted comments were in favor of up-front protections for the Bristol Bay region. “We will be looking to our elected officials and decision makers to ensure they don’t turn their back on the people of Alaska. We have said, and will continue to say, that Pebble is not welcome here. Alaskans aren’t going anywhere, we are in this fight for the long haul,” declared Williams. Brian Kraft of Alaska Sportsman’s Lodges said that regardless of the political desires of the Trump administration, the work that EPA has done examining information provided by the mining company should not be discarded.